Getting out all year long for different hunting experiences is one of the benefits of living in or visiting a state that has game ranches stocked with exotic species. 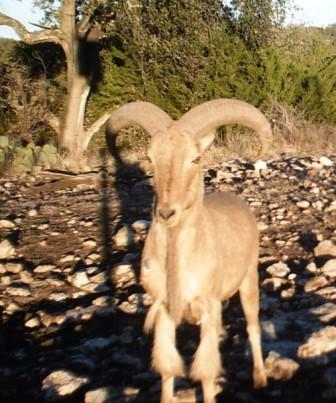 Since there is no seasonal restriction on exotic hunting in Texas, hunters have the best opportunity for continuous hunting adventures and excitement. 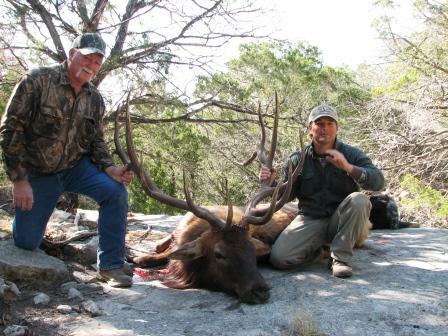 Texas exotics hunting on managed game ranches really is the only way to go for year round, high quality hunting options. 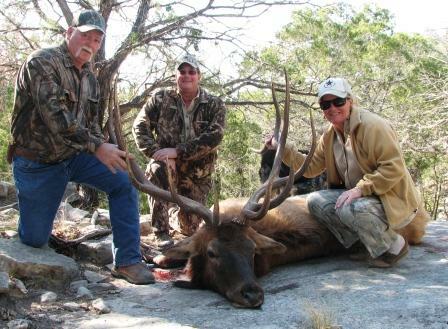 Most of the game ranches also offer native game hunting in season including whitetail deer and tom turkey, while some ranches even offer bull elk, truly the king of big game animals here in the state. However you don't have to wait for a few short weeks of hunting season to take down a one of a kind trophy animal. Both bucks and does of most exotic species are available year round, helping you to stay in shape for those very condensed native species hunting seasons. Many hunters find they prefer the exotics over the traditional game since it provides a challenge and a change and helps improve overall hunting skills, as well as providing fabulous eating. Choosing which type of game to go after is really a personal choice. If you are looking for good meat any of the exotics are a good choice. As with all wild game the meat is lean and healthier than domestic meat, plus it is perfect for sausages, jerky or bar-b-que styles of preparation. Females as well as males of any species are excellent for meat, plus the hides can be tanned and used for wall hangings, leather for clothing or for rugs or furniture throws. Some of the most dramatic looking hides for these uses include the Axis deer, Black Buck Antelope, Fallow deer and the Sika deer. For the trophy mounts to give you bragging rights you will definitely want to hunt the older bucks, bulls and sheep. 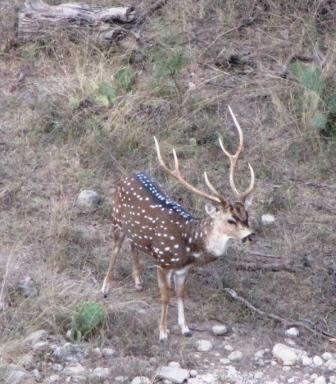 Not only are the males much more dramatic in a full head mount with their horns or antlers but they are also wilier and much more challenging to hunt. You will have to get used to passing on some excellent shots at does and young bucks or bulls until you get that trophy head in your sights. Hunting bucks and bulls also gives you the opportunity to try calling them in, particularly if you are lucky enough to be able to book your hunt during the right season for the rut.